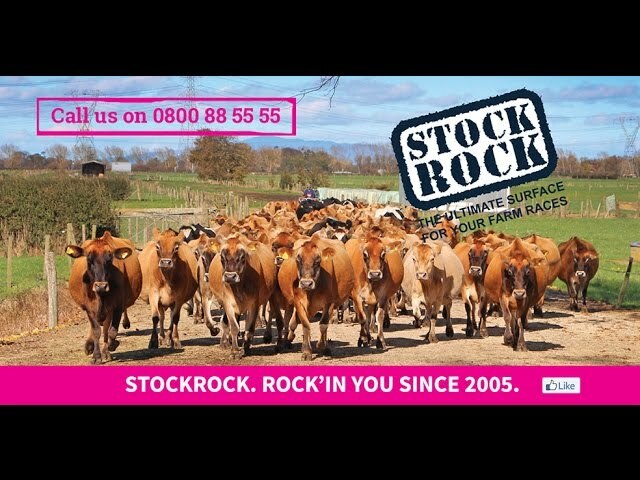 StockRock is the ultimate surface for your farm races. When applied to farm races in accordance with the StockRock Installation Guide, cow flow to and from the shed is dramatically improved, and herd lameness is reduced. StockRock is self cementing. Farmers find that sharp stones no longer appear in the yards. No sharp stones means reduced risk of stone bruises and hoof infections. Ask any farmer who uses StockRock and they will tell you this is the best product they have ever seen or used on their farm races.